India on one side is world’s biggest consumer of antibiotics and on other side in India antibiotic resistant superbugs are on the rise. 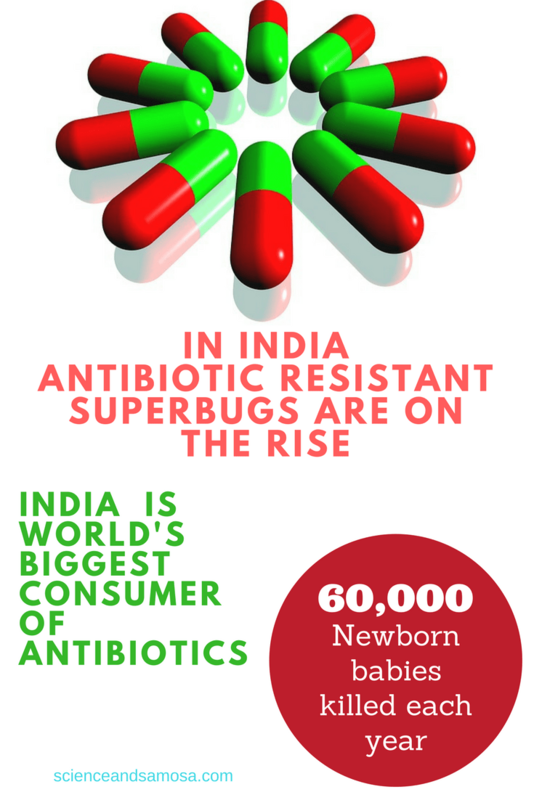 In India, antibiotic-resistant infections in new born babies alone claim 60,000 lives each year. News hit headlines when last year a woman from US died after being infected by a superbug named carbapenem-resistant Enterobacteriaceae (CRE), a multidrug-resistant organism (resistant to a total of 14 antibiotics) during her visit to India. If we go by research reports, one in every four samples of Escherichia coli and all samples of Klebsiella pneumonia in India will be resistant to key last-resort antibiotics by 2030. The scary point is, it can affect anyone, of any age. 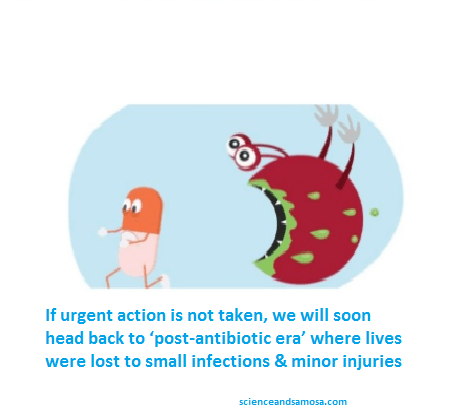 If urgent action is not taken, we will soon head back to ‘post-antibiotic era’ where lives were lost to small infections & minor injuries. Antibiotic resistance has become one of the biggest threats to health, especially in developing countries like India. Microorganisms are becoming resistant to the antibiotics used to treat the infections they cause, leading to longer illnesses & more deaths. Benefits of advanced medical treatments such as chemotherapy & major surgery will be completely lost. Already a growing list of infections like pneumonia, tuberculosis, blood poisoning & gonorrhoea are becoming difficult to treat. It’s just not humans who are over using antibiotics, but livestock’s too. If we have to believe they are used more each year on healthy animals than on sick humans. Tetracycline, penicillin, erythromycin, and other antimicrobials that are important in human use are used extensively in the absence of disease in today’s livestock production. Antibiotic makers are also contributing towards drug resistance. It is estimated that 80% of the antibiotics sold by multinational pharmaceutical companies in the global market are manufactured in India and China. It was alarming to learn that a drug factory in India was found to have the same level of antibiotics in its wastewater as in the blood of a person under treatment for severe infection.